A matter of trust. Mentoring is a structured and trusting relationship that brings young people together with caring individuals who offer guidance, support and encouragement aimed at developing the young person’s competence and character. 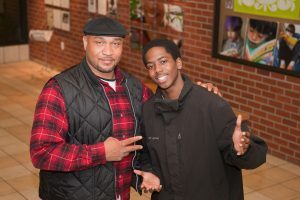 A mentor is an adult who, along with a young person’s parents or guardians, provides support, counsel, friendship, reinforcement and constructive examples of how to make choices that serve him or her. Mentors are good listeners, people who care, people who want to help young people bring out strengths that are already there. You can invest in the life of a young person by becoming a mentor today. Take the first step by reaching out to one of our mentor recruitment affiliates. To find one near you, please click here. 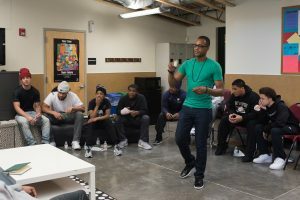 Additionally, Seattle CARES Mentoring Movement has partnered with MENTOR/National Mentoring Partnership to connect people nationwide with opportunities to mentor in their communities. An innovative, curriculum-based group-mentoring initiative, The Rising advances students in under-resourced families and high schools, instilling the determination and critical-thinking skills needed to avoid painful, predictable futures. The Rising helps heal traumas from unrelenting violence and often hunger, homelessness, neglect and hopelessness. The whole-school, group-mentoring model is designed to transform school climate and ensure that our young have the support needed to graduate from high school prepared to succeed in their careers and life. The Rising’s interactive curriculum is culturally anchored and consciousness shifting. Students meet weekly during the school day in intimate, single-gender Wellness Mentoring Circles, and monthly in larger whole-school assemblies. Programming is facilitated by CARES-trained professionals and mentors. Community partners offer wrap-around services to children and their families.